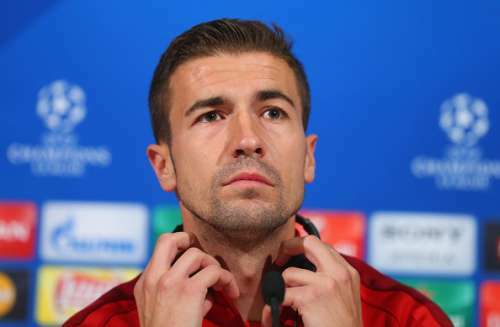 Atletico Madrid captain Gabi wants to erase the scars left by their extra time defeat by Real Madrid in the 2014 Champions League final when the two city rivals clash again for Europe's top club prize on May 28 in Milan. The Rojiblancos looked to be heading for glory in that match in Lisbon in 2014 as they came up to the whistle after leading Real 1-0 for nearly an hour. But then Real's Sergio Ramos equalised in the 93rd minute and Los Blancos went on to tear apart an exhausted Atletico by scoring three goals in extra-time and winning finally 4-1. "The scar is still there and will take long to heal," Gabi said to Spanish radio station Cadena Ser. "I don't think that ever goes away, to lose a Champions League final is impossible to forget. It was cruel, especially the way it happened," the Atletico captain said. "It was cruel to digest. I knew it was going to be tough when they equalized. Physically, Madrid were better in extra time and we tried but we were already exhausted." Atletico, who finished third in La Liga behind champions Barcelona and Real, eliminated PSV Eindhoven, Barcelona and Bayern Munich en their way to the final. The victory over the German side was particularly sweet since it avenged Atletico's defeat by Bayern in 1974 in a European cup final replay.